Do you have an incontinence situation on your hands? If so, adult diapers may be for you. Adult diapers can solve all of your incontinence needs. Incontinence is a situation that is personal for many people. Just because you have an incontinence issue does not mean that you have to give up and active lifestyle. In fact, incontinence does not have to result in a drastic change to your lifestyle. Incontinence is problematic because it can hinder your ability to use the bathroom in a regular manner. This article will explore how the best adult diapers will fit your needs and your particular incontinence situation. Adult diapers are for more severe forms of short-term incontinence and permanent incontinence. These conditions are best suited by having an adequate supply of adult diapers on hand. There is not a single ounce of shame in wearing adult diapers. Adult diapers are going to go a long way in solving your incontinence needs. If you have a good adult diaper, you will not have to worry about dirtying your clothes or linens in the instance of an accident. The best adult diapers will have several features that will allow you to take better care of yourself in the instance of an accident. One of the most important features of adult diapers is a special type of fabric in the interior of the diaper that absorbs material. The material absorbs liquid if the person cannot make it to the bathroom in time. The absorbent core in most diapers is important because it plays an important role in absorbing liquid and allowing it to dry. The best adult diapers are very affordable. They are comfortable, adjustable, and provide the wearer with a high degree of security in case they cannot make it to the bathroom on time. Sometimes, in a nursing home, a person cannot be changed immediately. If a person has a good adult diaper, they will be able to wear a diaper for a certain amount of time if they have an accident. The best adult diapers allow for the wearer to be comfortable if they are in bed and can protect the bed linens that are on their mattress. Adult diapers are very important because they protect a person who cannot make it to the bathroom in a timely manner. Bedridden people need to wear adult diapers so that they do not ruin their bed linen. The linen that is on a bed is very important because it makes the patient comfortable. If a person does not have a good adult diaper, they will ruin their bed linen. 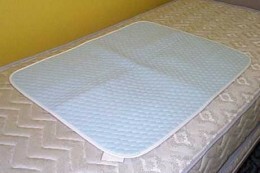 If material seeps through a diaper, it can go through the linen and go through into the mattress. This will require a new mattress for the bed. When a person has an adult diaper, they will be able to stay in bed if their caretaker cannot change them immediately. A good brand of adult diapers can also result in a bed not needing a protective plastic sheet. The best adult diapers can help a person overcome their incontinence needs and live comfortably. Good adult diapers are important because they help a person overcome their incontinence. Adult diapers are adjustable and comfortable. They do not require a person to give up their active lifestyle. They make it so that a person can be comfortable and live with their incontinence. Sometimes, adult diapers are only needed for a short period. On other occasions, a person may need their adult diapers on a permanent basis. Whatever the case, the right adult diapers will help you live with your incontinence.